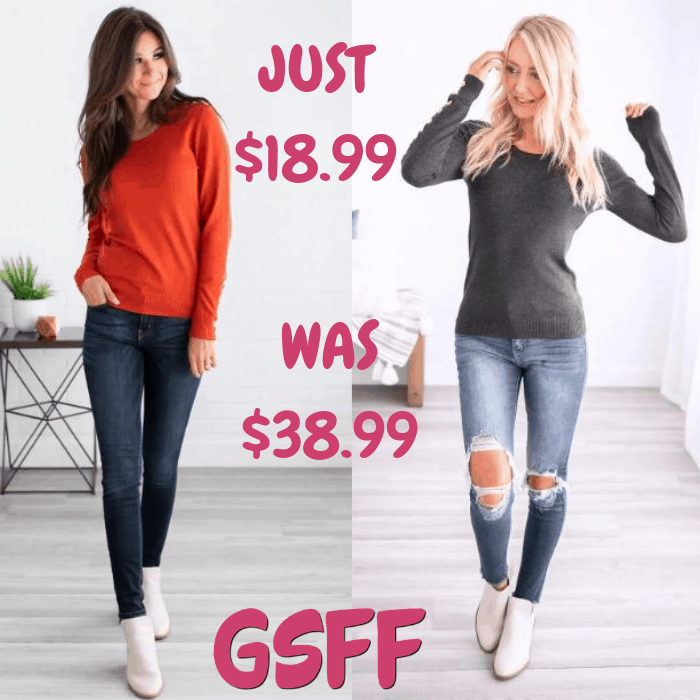 Crew Neck Sweater Just $18.99! Down From $39! Shipped! You are here: Home / Great Deals / Crew Neck Sweater Just $18.99! Down From $39! Shipped! This deal expires on January 3! At Jane, you can get this Crew Neck Sweater for just $18.99 down from $38.99 PLUS FREE shipping! Swoon! You can’t get enough of this Button Detail Crew Neck Sweater! Simple, yet sophisticated this sweater features button detail on the long sleeves and shoulders and a ribbed hem. Dress it up with your favorite pencil skirt or rock it casually with a pair of jeans, either way, you’re sure to look and feel great!